In order to complete the process and get you added, all we ask is that all our approved fitters and chimney sweeps add the following badge to their website, so that customers can be confident they are on the correct website when making contact with you. If you do not have the capability to add the code to your website, we can happily do this for you. 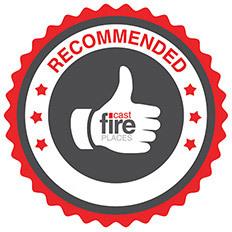 Please email tom@castfireplaces.co.uk to request this help, stating "badge installation" in the email subject line.